For all of the unforgettable, spectacular moments of greatness that athletes have delivered across the sports landscape, there have been athletes who balance the equation with their own unforgettable, horrendous moments. From the baffling to embarrassing, some of the most egregious errors made by athletes are a purely the result of humans being … well, human. These are the errors of the Bill Buckner type that, while indescribably painful to watch, are due to sloppy physical play or fluky moments. These are the mental blunders that have us screaming at our televisions, wondering how and why they could ever happen. Strap in for some of the most cringe-worthy mental errors in the history of sports. 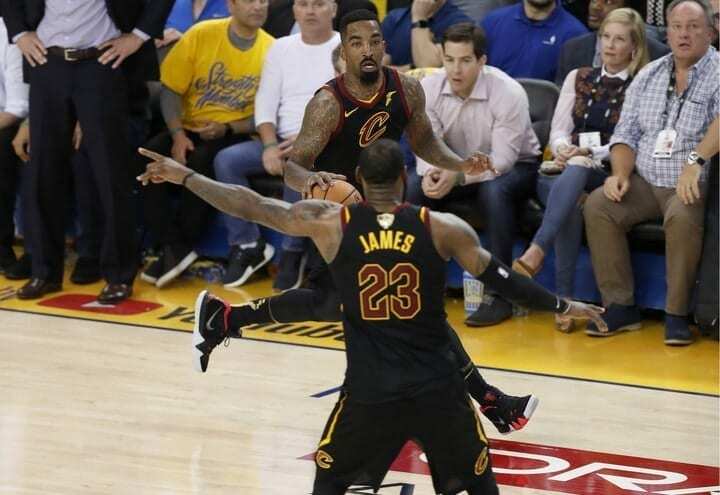 Any time JR Smith’s name is brought up among basketball fans, it’s as close to a lock as can be that it has to do with some ridiculous on- or off-the-court antics. The two very different sides of good and bad Smith can be summed up by the two nicknames fans go by: JR Swish and Henny God. The Swish is something fans root for in the best of ways, while the Henny is something fans want in the worst of ways. 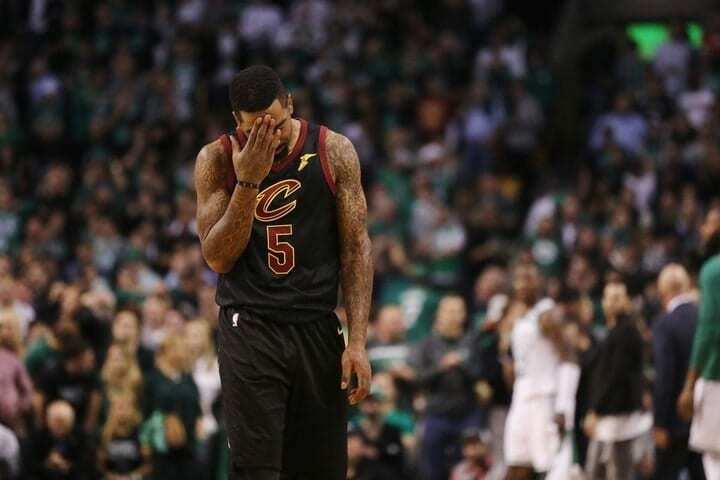 Through Smith’s many career highs and lows, it’s safe to say that the most extreme ends of the spectrum have come in his time with the Cleveland Cavaliers. Those highs and lows have been a result of Smith’s proclivity for jacking shots from any and everywhere. On the positive end, his propensity to put up shots helped the Cavs win the 2016 NBA Finals in their rematch with the Golden State Warriors. 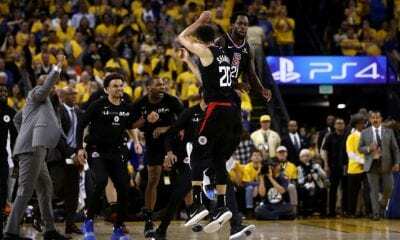 On the negative end, Smith’s unique ability to live completely inside his own world resulted in a colossal screw up in Game 1 of their fourth straight championship matchup against the Warriors. With 4.7 seconds left and the Cavs down 107-106, George Hill tied the game with his first free throw, but missed the second. Smith grabbed the rebound, but for some reason turned down a layup to dribble it back towards half-court. A wide-open LeBron James can be seen incredulously pointing back towards there hoop while yelling at him. The one guy who always shoots his shot instead dribbled out almost the entirety of the clock, resulting in the game going to overtime and a Warriors win. 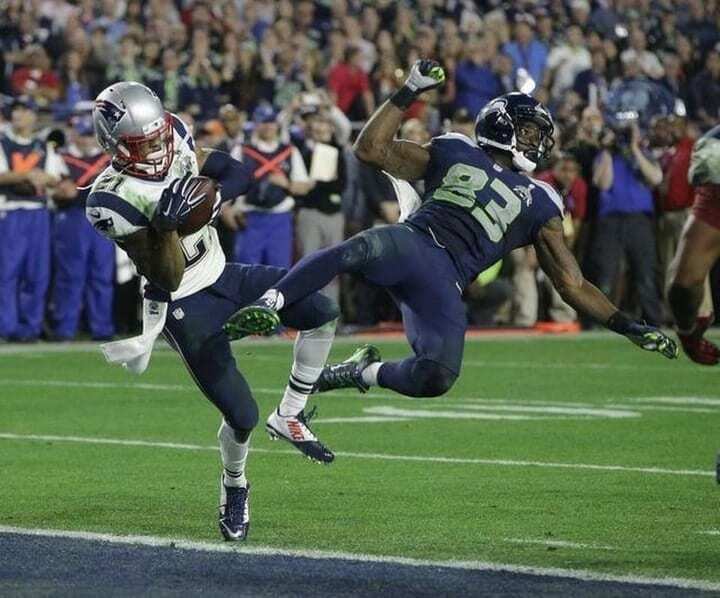 Super Bowl XLIX in 2015 was a heavyweight battle, pitting two unstoppable forces – the three-time champion New England Patriots and the defending champion Seattle Seahawks – against each other for an epic final showdown. Who ruined the game for Seattle? “The Butler did it!” New England supporters cry. 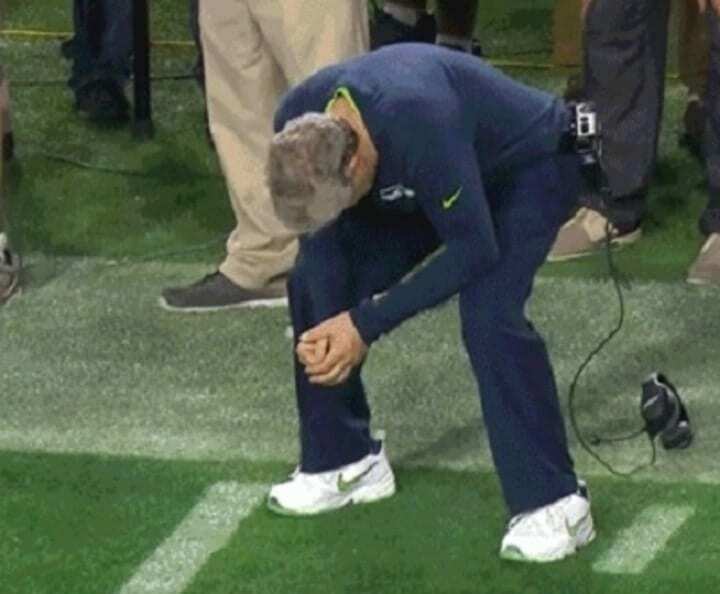 While that may be partially true, the real culprit was Seahawks head coach Pete Carroll, who made arguably the most egregious mental blunder in NFL history, eschewing an obvious decision for one which will live forever in NFL infamy. Quarterback Tom Brady found wide receivers Danny Amendola (7:55 remaining) and Julian Edelman (2:02) for two touchdowns to put the Pats up 28-24. But a lightning fast drive up the field, led by quarterback Russell Wilson and a crazy circus catch by Jermaine Kearse, put the Seahawks right back in the red zone, on the five-yard line with just seconds left. Running back Marshawn Lynch, who already scored one touchdown earlier, rushed for four yards to put him at 102 for the night and, more important, put the ball on the one. As it turns out, that decision was obvious to everyone in the world except Carroll, who inexplicably told Wilson to throw a pass. Just like that, a sure thing turned into a thrilling, heart-wrenching, mind-boggling interception that saw Pats cornerback Malcolm Butler turn into a Boston cult hero in one split second. Butler read the play perfectly, cut off wideout Ricardo Lockette who was running a quick slant pattern in the middle of the field, stepped in front of the pass and confirmed what the rest of us already knew should’ve been done. 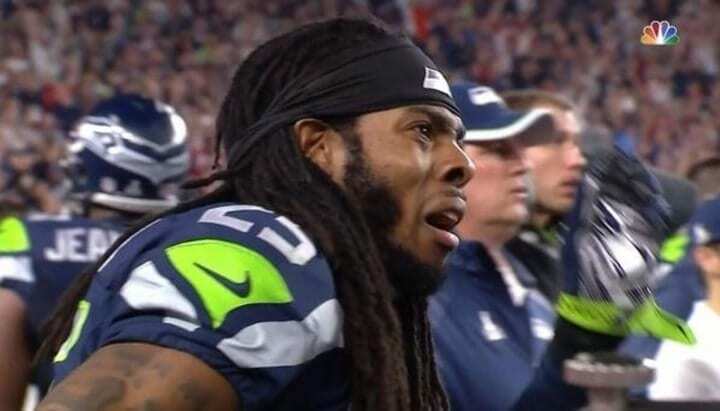 At least Pats Nation will always have Carroll’s back on this one. 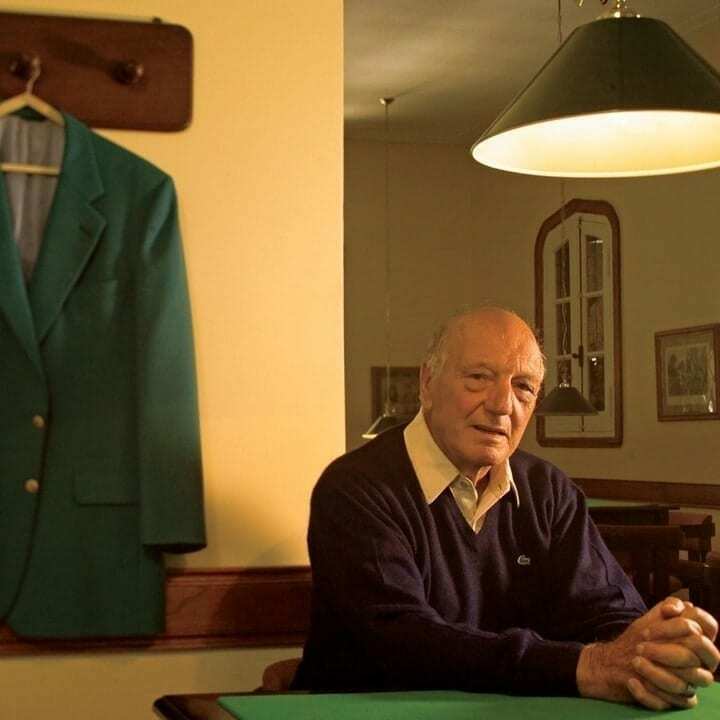 Roberto De Vicenzo is truly one of the greats of golf, having collected a remarkable 231 professional tournament wins. 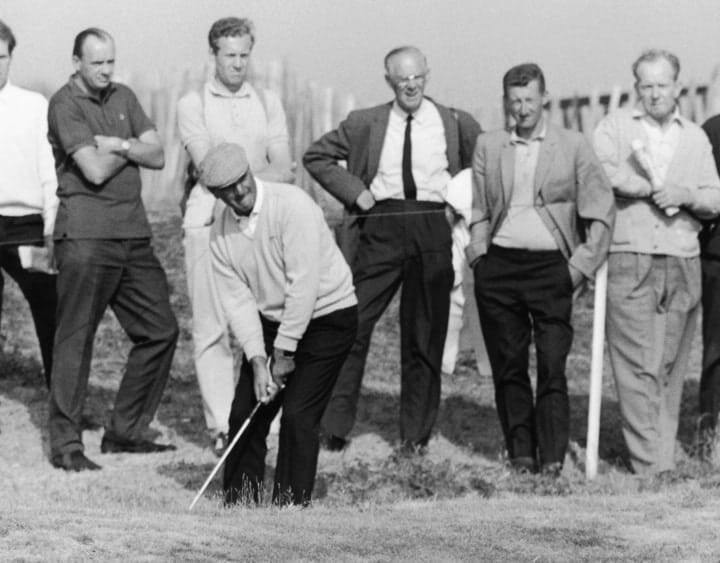 Unfortunately, it was not even one year after what many consider to be his greatest accomplishment, winning the 1967 Open Championship, that he suffered his greatest blunder. 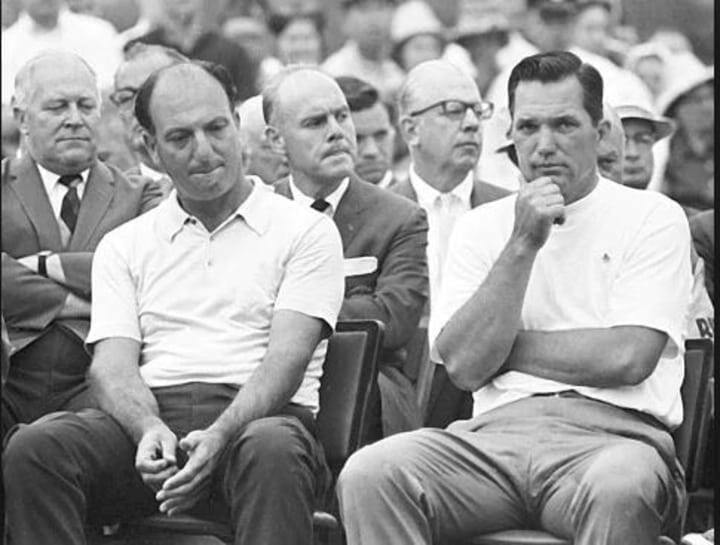 Spectators at the 1968 Masters Tournament looked to be in for a wild finish, as De Vicenzo pieced together a spectacular final round to shoot a 65, which was enough to tie the leader, Bob Goalby, and force an 18-hole playoff, which was scheduled to be held the next day. This one very little, very big problem was that De Vicenzo’s playing partner, Tommy Aaron, had wrongly marked down a score of par-4 on the 17th hole for De Vicenzo’s total on the scorecard when De Vicenzo had actually made a birdie-3. Maybe it was the adrenaline in the moment, maybe it was the distraction of pulling off the perfect birthday (De Vicenzo had just turned 45) or maybe math was never his best subject. “What a stupid I am” may has grown to simultaneously be one of the silliest and saddest statements made in sports history. At the same time, Aaron, who made the mistake, said, “It’s a shame. He should’ve checked his scorecard,” deserves its place on the Mount Rushmore of infuriating comments. Michigan Wolverines head coach Steve Fisher assembled a group of freshmen with a collective superstar talent that had literally never been seen before. The recruiting class contained a record-setting four McDonald’s All-Americans, which was not broken until Kentucky’s 2013 class. 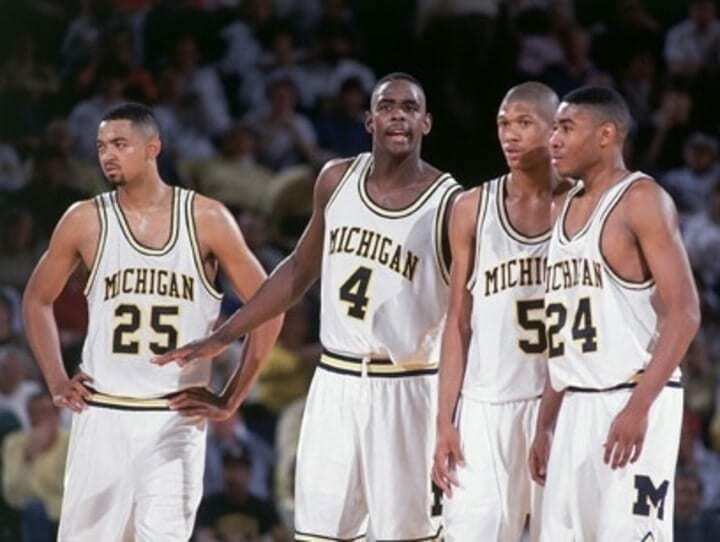 Competing in the elite Big Ten Conference didn’t slow this young core down, as they powered through the season and straight into the 1992 national championship game, where they lost to the Duke Blue Devils. Disappointing as the ending to their Cinderella season was, they battled their way through an incredible sophomore season, finishing with 31-5 record (or 0-4 for those who choose to believe “vacated” games never existed, as the NCAA commands). Sadly, one of those five losses came in Michigan’s final game and its biggest stage, the national championship against the North Carolina Tar Heels. With 19 seconds left in the title game and Michigan down 73-71, Webber grabbed a rebound off a missed North Carolina free throw. 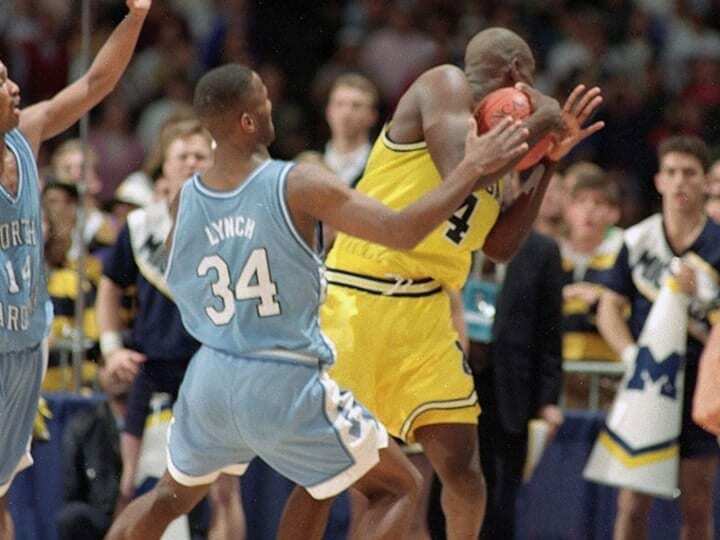 It seemed Webber and the Wolverines caught the break of a lifetime when the ref didn’t blow the whistle on an obvious traveling violation, though karma came back in a bad way… and fast. Webber dribbled coast to coast, calling a timeout when he was double-teamed in the corner with 11 seconds left. There was one glaring error in that decision – the Wolverines didn’t have any timeouts left to call. That’s a technical foul, giving UNC two free throws and possession. The Tar Heels won 75-71. 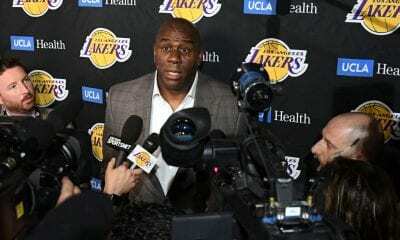 Earvin “Magic” Johnson is a shining example of how time heals all wounds. 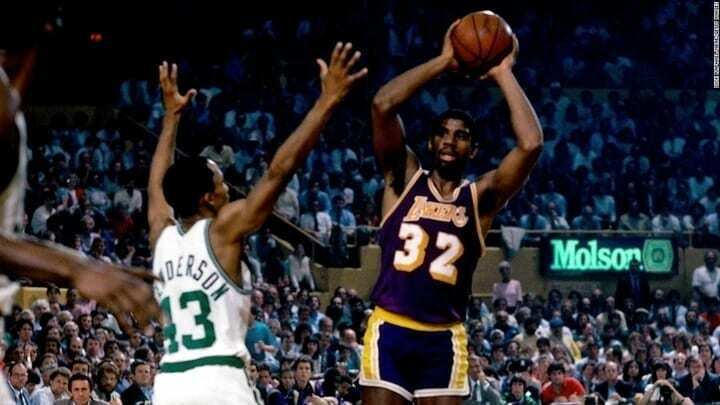 Johnson did so many amazing things in his time running the point (and seemingly every other position at various times) for the Showtime Lakers, leading Los Angeles to five NBA championships in the 1980s. As many incredible accomplishments as Magic has had — like his three MVP selections and three Finals MVP selections — there have been some lowest of low moments to balance the scales, and in a Finals series that contained several for Magic, the lowest of the low came in Game 2 of the 1984 NBA Finals against the Celtics. 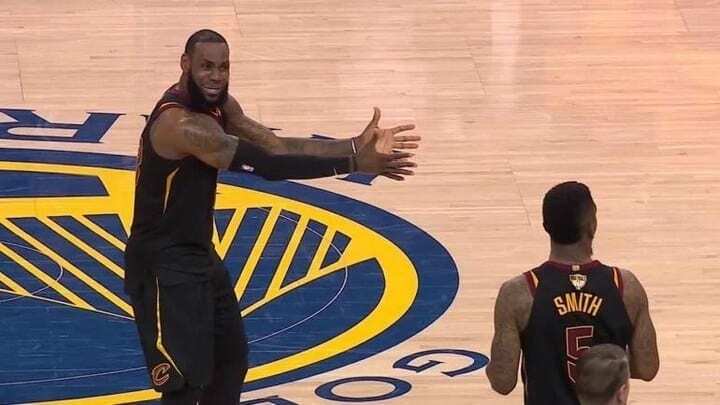 JR Smith’s 2018 Finals Game 1 moment left everyone in the stadium and watching at home wide-eyed with confusion. How could he be so absent-minded that he actually forgot the score and blew multiple opportunities to get a game-winning bucket? It turns out that Magic did the same thing back in 1984, but worse. 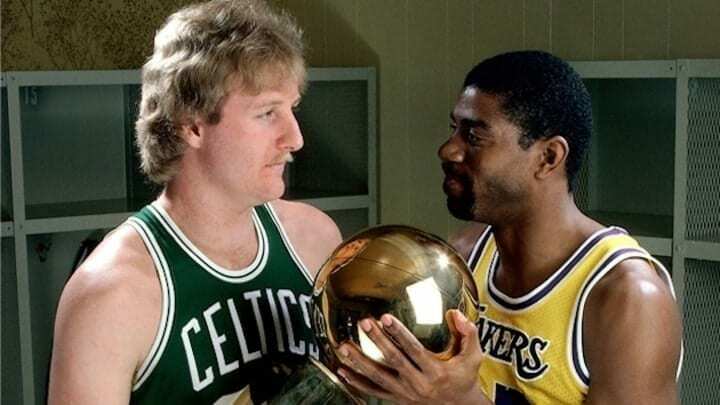 With the number of colossal lapses in judgement Magic had in the 1984 Finals, it’s almost a travesty that Larry Bird was awarded Finals MVP, because no one helped the Celtics more in clutch moments than Magic did. There were numerous examples in multiple games, but none worse than his horrendous Game 2 moment. The Lakers already managed to steal Game 1 at the Boston Garden. And even after Gerald Henderson famously stole the ball and scored to tie Game 2 with 13 seconds left, the Lakers an opportunity to take a 2-0 series lead after calling timeout. Magic got the ball up near half court, casually backing down his opponent to get to the wing, reaching the three-point line with his back turned to the basket with six seconds left. Then he turned toward the basket, but didn’t attack the rim – he just kept dribbling, looking to throw the ball inside to Kareem Abdul-Jabbar. Then he kept dribbling some more. Then he passed… as time expired. The Lake Show lost their window of opportunity, lost the game 124-121 and lost the series in seven. While most Americans wrongly believe Thanksgiving to be a holiday meant to celebrate pilgrims and puritans’ emigration from England by gathering with friends and family, football fans correctly realize it’s actually a day meant to watch lopsided Lions, Cowboys and whatever other NFL games we are blessed to receive. 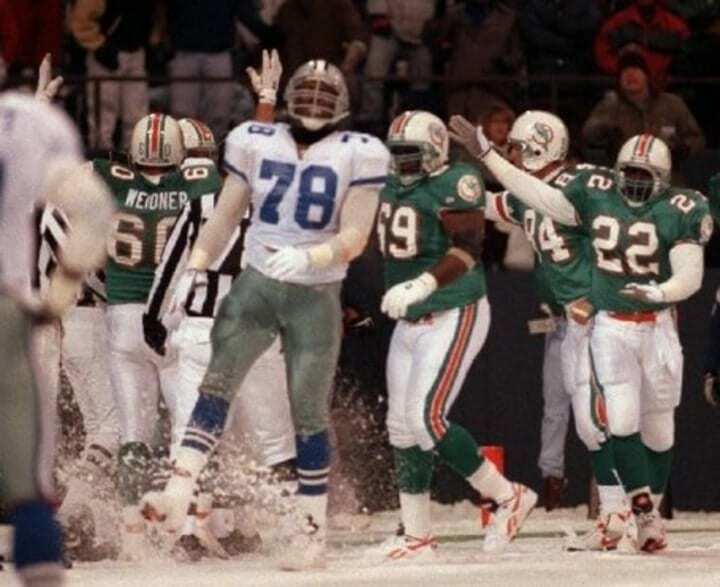 The 1993 Thanksgiving game between the Dallas Cowboys (7-3) and Miami Dolphins (8-2) was one to remember or forget for all those who root for Them Boys. With 15 seconds left in the game and the Cowboys leading the Dolphins 14-13, the Fins set up for a 41-yard field goal to steal the win. Dallas’s Jimmie Jones wasn’t ready to let that happen, as he fully extended and got a hand on the football for a block. 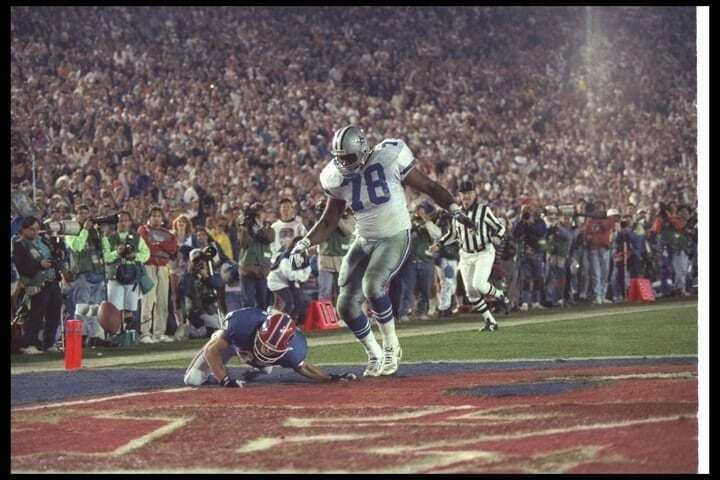 Immediately following Jones’ blocked field goal attempt, teammate Leon Lett delivered the infamous Thanksgiving gaffe that still feels like watching a train wreck in slow motion. This is probably a good place to note that this weather oddity in Texas was not just the fluffy white stuff, there was a nasty mix of slippery sleet with the snow. 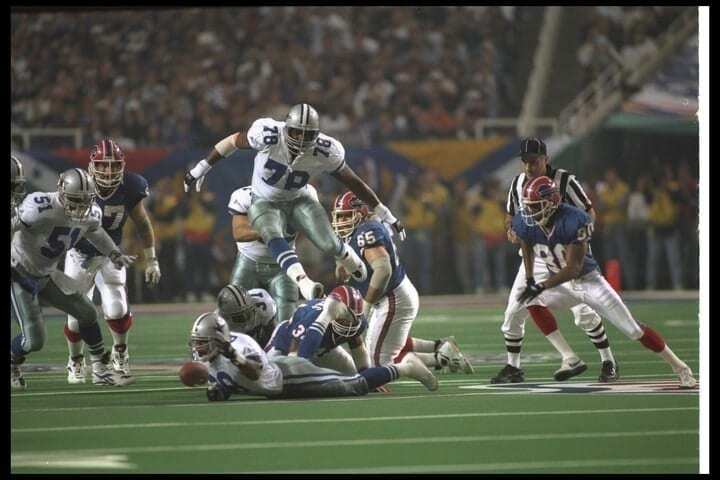 As all of the Dallas players celebrated their victory, Lett mistakenly tried to pick up the ball, slipping and knocking it into forward with his foot where it slid out the back of the end zone. Because a Dallas player touched it last, the Dolphins got a second chance to run a play with three seconds left. That was all Miami needed to put it through the uprights, steal a 16-14 win and give Lett a lifetime of recurring nightmares. Even though we’re turning the clocks back to 1964, the individual embarrassment on this one is still overwhelming enough to evoke an uncomfortable mix of sympathy and horror. 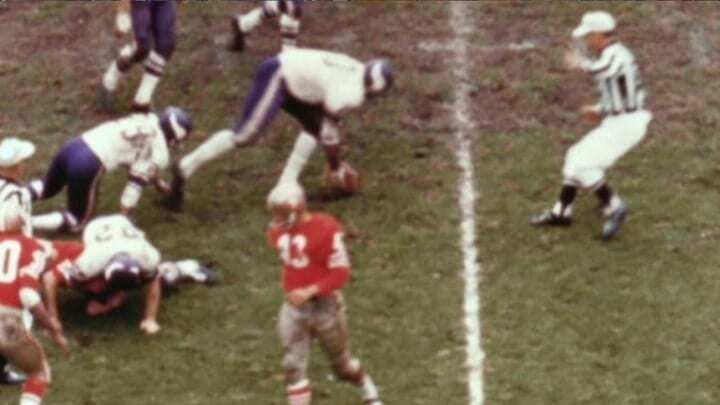 In Week 7 of the 1964 season, the visiting Minnesota Vikings took on the San Francisco 49ers when Minnesota’s defensive stalwart Jim Marshall made a mistake so egregious it felt like a scene out of The Replacements. Terrible as this mistake was, it should be noted that Marshall also gave Vikings fans 19 incredible seasons as a defensive end in his 20-year NFL career. Sure, we could talk about his NFL record 30 career fumble recoveries, but it’s the fumble, and NFL record, he scooped up in that fateful Week 7 that’s truly hypnotizing. The record Marshall set, which is widely regarded as the greatest blunder in NFL history, is the most yardage lost on one play –a cool 66 yards. 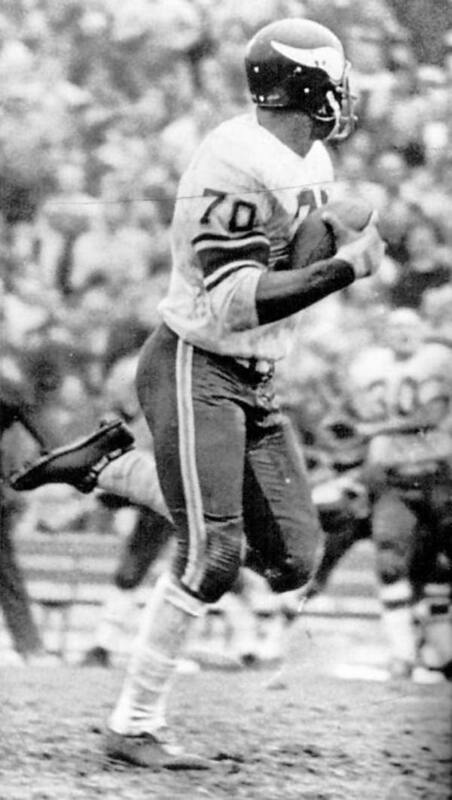 The Niners were deep into their own end zone when quarterback George Mira completed a pass to running back Billy Kilmer that looked to have bailed them out of a tough spot until he was stripped and lost the ball. Marshall scooped the ball up in stride and was off to the races. No one came close to catching him. There was no one even in his vicinity. It was as if San Francisco didn’t even bother stop the run from happening. Considering Marshall was doing the Niners’ dirty work for them by running it all the way to their end zone, it makes a lot of sense they’d prefer conserving their energy. He even chucked the ball in celebration to ensure there was no chance he’d miss out on getting San Fran a safety. The one saving grace – and the football gods truly were smiling down upon Marshall despite the ugly play – was that Minnesota still came out of the game with a 27-22 win. By far the greatest moment is watching a very confused ref point and Ed Sharockman (No. 45) start running the right way as Marshall takes his own path. 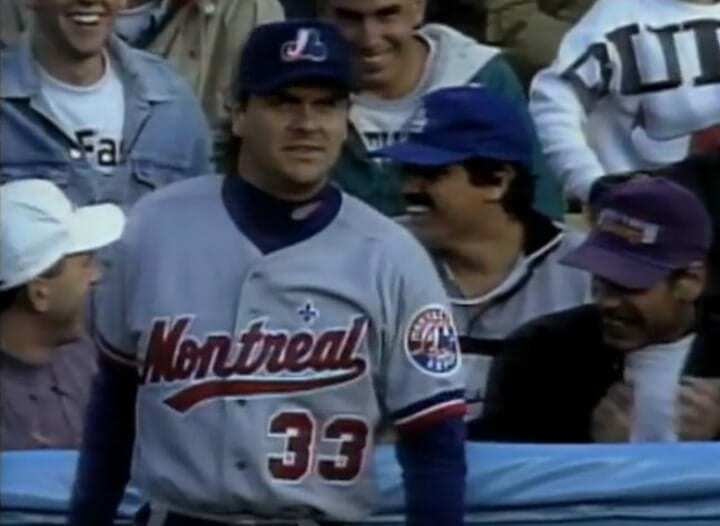 Boy oh boy, this little movie scene moment must’ve played out REAL cool in the head of former Montreal Expos right fielder Larry Walker. It was supposed to be a highlight for all the sportscasts, with Walker the hero for coming through in the clutch for a cute little fan. Have you ever watched a baseball game and wondered if it’s really necessary for infielders to hold up one or two fingers and shout the number of outs to the outfield and rest of their team? 1-2-3. Don’t even have to remember the three part, because the team will already be headed back to the dugout. 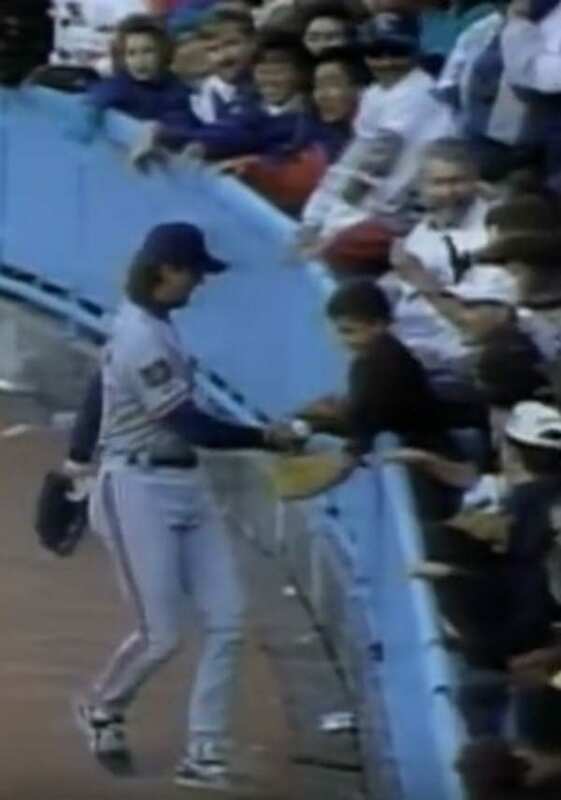 Walker’s attempted Mr. Nice Guy moment, handing a baseball to a young fan during a Sunday Night Baseball game on ESPN at Dodger Stadium after catching it for the third out, ended up being a lot less cute when he finally realized it was only the second out. Whether Walker heard the screams of his teammates, saw the base-runner rounding second or realized no one else was jogging to the dugout, watching him sprint back to the kid (who was grinning ear to ear) to grab the ball and throw in back to the infield was pure gold. Quite honestly, the fact that Walker retired with seven Gold Gloves really does make this goof all the more stunning. This Fred Brown never made it to the NBA, though he did still have more than his fair share of heart-stopping highs and lows in his four years of collegiate ball with the Georgetown Hoyas. Brown was on a Georgetown squad stacked to the gills with talent throughout his time at Georgetown. 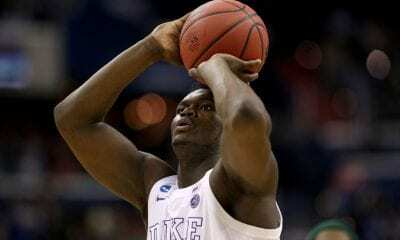 He played with future NBA stars like Eric “Sleepy” Floyd and Reggie Williams and future Hall of Famer Patrick Ewing. The constant influx of star talent was necessary, as the Big East was in its heyday. 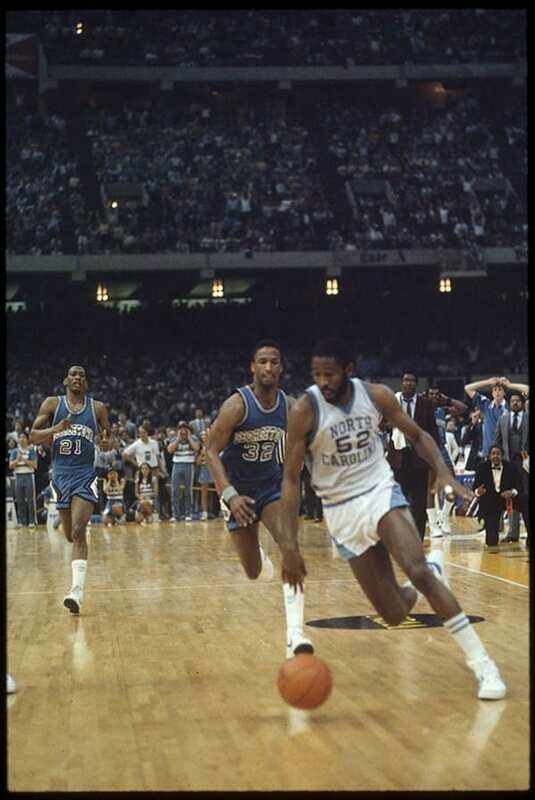 Tough as the conference was, the Hoyas managed a 30-7 record Brown’s sophomore season, pushing them to the 1982 National Championship where they faced a ridiculously stacked UNC Tar Heels team. Michael Jordan, James Worthy and Sam Perkins… ‘Nuff said. It was Jordan, the freshman, who put North Carolina ahead 63-62 with a late jumper. Then Brown dribbled upcourt with a chance to give Georgetown the win. It seemed that, in the heat of the moment, Floyd caught himself off-guard as he passed the ball back to an open man in his peripheral vision. Unfortunately, that open man happened to be the Heels’ Worthy, who dribbled away with the prize, killing enough of the clock to seal the game. The weight of Floyd’s crushing error was at least somewhat lifted when he redeemed himself in senior year, winning the 1984 National Championship game. 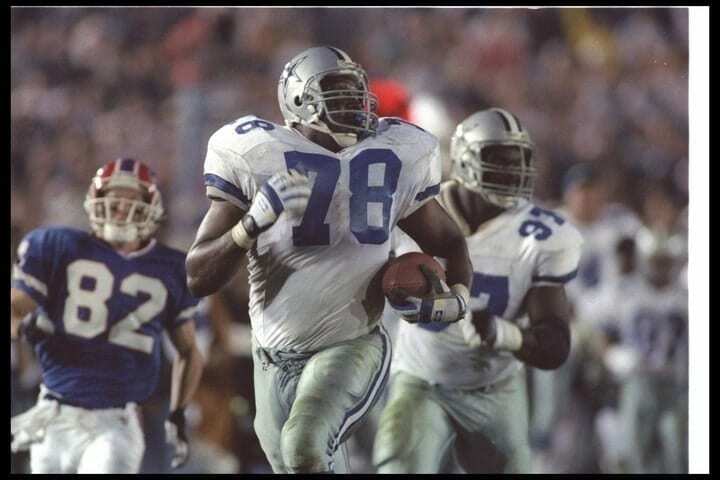 Oh my sweet football baby Jesus, there isn’t any chance that there were actually two Leon Letts who both happened to play for the Dallas Cowboys during the ‘90s? No? Well, at least his three Super Bowl rings should allow for one more epic screw-up, now that he’s a defensive line coach in Dallas. 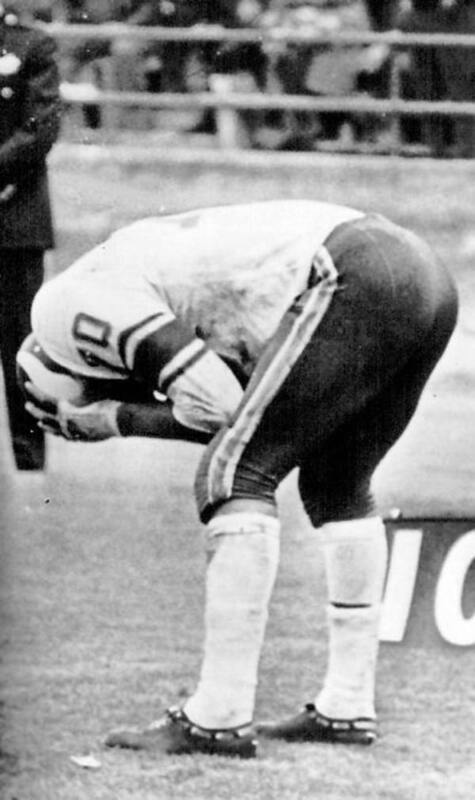 Lett’s Thanksgiving Day blunder against the Miami Dolphins was seen by more TV viewers than usual, being it was a holiday game, but at least it wasn’t on the biggest stage in the biggest game like this poorly-timed mind meltdown against the Bills in Super Bowl XVII. It all went down at the Rose Bowl – coincidentally earlier in the same year (1993) as his November mishap – when the Cowboys faced the Buffalo Bills to stake their claim of the Vince Lombardi Trophy. Late in the fourth quarter, with the Cowboys comfortably ahead in a blowout win, Lett saw an opportunity for career-defining moment, which is exactly what happened. Bills quarterback Frank Reich was sitting in the pocket when he took a big shot from behind, fumbling the ball forward into the open field. Great positioning and a perfect bounce set Lett up for a wide-open scoop and score. The big fella just had to turn on the jets from 50-yard line. There was so much distance between Lett and the next Bills player that it looked like he could coast to the end zone, and that is exactly what he did. Actually, he added a little extra flair, reportedly watching the Jumbotron while trying to do his best impression of his teammate, Michael Irvin, by holding the ball out in front of him. Holding the ball like that made for some Grade-A drama, as a Bills wide receiver Don Beebe slowly closed the gap on Lett’s outstretched hand, begging to be slapped away. The scene plays out exactly as expected, with Lett losing the ball just before crossing the goal line, resulting in a safety. To be fair, it’s unlikely Lett would have attempted this excessive celebration had the Cowboys not already put up a massive lead to guarantee victory. At least it wasn’t in the Super Bo—oh, right.